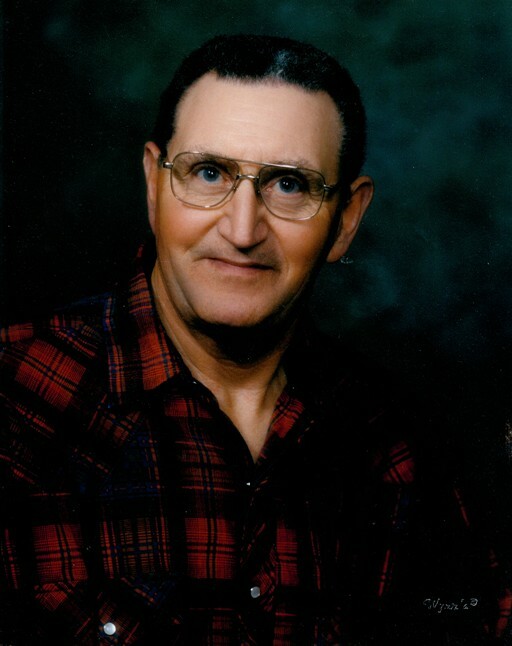 Ronald James “Jim” Fletcher, age 70, of El Dorado Springs, Missouri, passed away at his home on Saturday morning, January 11, 2014. Jim was born January 18, 1943, in Avoca, Nebraska, the son of Sigal and Florence (Harriger) Fletcher. Jim married Lona Davis and to this union six children were born: Virginia, Donna Kay, Wanda, Howard James and Daniel. At this time he worked for eighteen years at the shoe factory in El Dorado Springs until its closing. He also logged, hayed, worked on cars and worked for Harry Sumner at his saw mill. In 1985, Jim married Donna Mae (Hammergren) Wooldridge. To this union he acquired four step-children: Melissa, Calvin, Jeff and Eric, whom he loved as his own. Before he retired in 2005, he worked at the Nevada Habilitation Center for eighteen years. Jim was a loving husband, father, grandfather and great-grandfather. He loved to fish, hunt, farm and most of all spend time with family and friends. Preceding him in death were his parents, daughter Virginia, and son Howard James. Survivors include: wife Donna M. Fletcher; seven children: Wanda Dunfield and husband Terry, Daniel Fletcher and wife Pam, Donna Kay Fletcher; Melissa Shore and husband Russ all of El Dorado Springs, MO; Calvin Wooldridge and wife Becki of Stockton, MO; Jeff Wooldridge and wife Michelle and Eric Wooldridge of El Dorado Springs, MO; seventeen grandchildren: Caleb Fletcher, Danielle Curtis, Dustin Johnson, Waylon Johnson, Andrew Johnson, Erica Mott, Travis Dunfield, Skylar Walters, Samantha Johnson, Bryce Wooldridge, Crystal Hicks, Austin Robertson, Marissa Smith, Zane Wooldridge, Hunter Wooldridge, Bristol Wooldridge, Gabriella Wooldridge; and four great-grandchildren. Funeral services for Ronald James Fletcher were held on Tuesday, January 14, 2014, at 10:00 a.m. at Bland-Hackleman Funeral Home with Rev. Brent Bland officiating. Paula Newman provided music. Burial followed in Clintonville Cemetery under the direction of Bland-Hackleman Funeral Home. Pallbearers were: Waylon Johnson, Dustin Johnson, Andrew Johnson, Travis Dunfield, Skylar Walters, Bryce Wooldridge, Bryce Mott and Russ Shore.